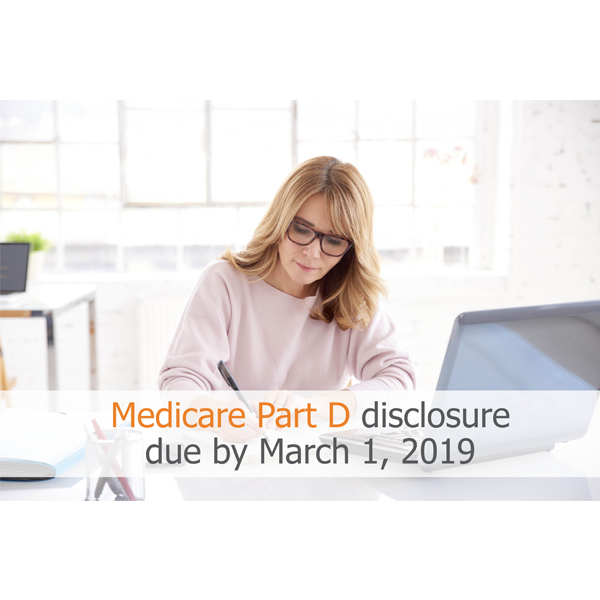 individuals who are eligible for coverage under Medicare Part D. Read the full release here. Employers must comply with numerous reporting and disclosure requirements throughout the year in connection with their group health plans. This Compliance Overview explains key 2019 compliance deadlines for employer-sponsored group health plans. It also outlines group health plan notices that employers must provide annually. Often, employers furnish these notices with the plan’s enrollment materials during its annual open enrollment period.To read full release, click here. There are many different ways to incorporate wellness into your company, whether by making small changes or by introducing larger programs. This guide will provide basic information and tips to implement various wellness initiatives. To read full release, click here. Annual performance reviews have dominated the HR landscape for decades. In recent years, though, questions have been raised about the effectiveness of annual performance reviews, due to the time strain they pose on leadership and the outcomes achieved (or lack thereof). Click here to read full release. In late Sept. 2018, the Internal Revenue Service (IRS) released final 2018 forms and instructions for reporting under Internal Revenue Code (Code) Sections 6055 and 6056. To read full release, click here. To prepare for open enrollment, group health plan sponsors should be aware of the legal changes affecting the design and administration of their plans for plan years beginning on or after Jan. 1, 2019. Employers should review their plan documents to confirm that they include these required changes. Click here to read the full press release. Which Federal Employment Laws Apply to your Company? There are a number of different federal employment laws that have their own rules for covered employers. Employers should be aware of the federal employment laws that may apply to their company. Click here to read the full press release. In 2017, the EEOC resolved over 100,000 workplace discrimination claims. Discrimination lawsuits can be very time-consuming and expensive for employers and can result in a loss of employee morale or reputation within the community. HR departments must constantly adapt to new requirements from both internal and external sources. Unexpected factors like new regulations from the White House and additional workplace responsibilities commonly disrupt HR departments. These disruptors can influence HR’s trajectory for the rest of the year. To read full article, click here.